Phil Jones has been deemed ‘fine’ by manager Gareth Southgate, after the defender was spotted hobbling off with an injury in England’s 0-0 draw with Germany on Friday. The 25-year-old couldn’t last for more than 24 minutes on the pitch at Wembley, as he went down after having cleared Leroy Sane’s effort off the line. The centre-back was also pulled off during Manchester United’s humiliating 2-1 defeat against Huddersfield Town last month, when he sustained issues akin to this one. According to Sky Sports, the player limped off the pitch with a heavily strapped left thigh soon after his contribution by clearing the lines. However, it appeared as if the centre-back suffered the injury 10 minutes into the match, but continued to play on for another 14. 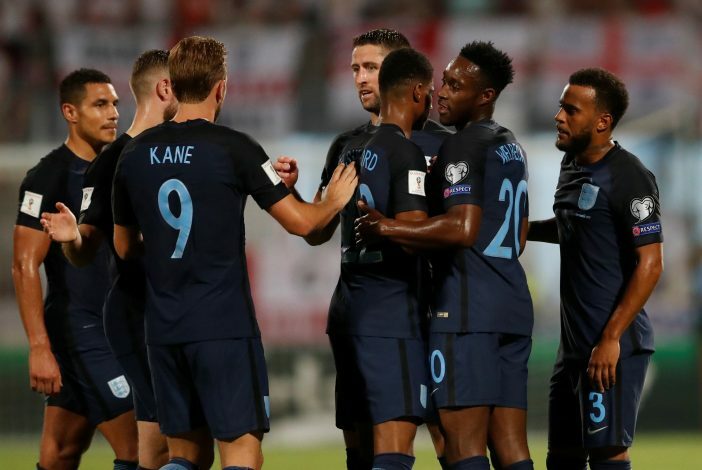 It looked likely that Jones had suffered yet another injury, but the England national team gaffer relieved the supporters by snubbing any fears of a lengthy lay-off after the game. Regardless, Jones’ injury ended up benefitting Joe Gomez, as the Liverpool defender made his debut along with Jordan Pickford, Ruben Loftus-Cheek, and Tammy Abraham, who all premiered in the highly anticipated fixture, which concluded with neither of the sides scoring any goals.